The LANCOM 1781VA-4G is a professional, high-performance VPN router for high-speed Internet access with its integrated VDSL2/ADSL2+ modem and dual-SIM 4G LTE. These versatile connection options make it a high-performance basis for no-compromise backup scenarios and maximum operational reliability. 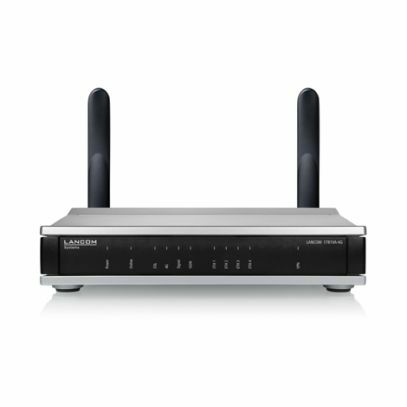 The extensive range of IPSec VPN functions offered by the LANCOM 1781VA-4G additionally guarantees that the connection to the company network is secure. The right choice for secure, reliable and sustainable networking solutions "Made in Germany".